One of the best things about Star Wars prequel Rogue One was Chirrut Imwe, the blind warrior monk who was one of the Guardians of the Whills and protector of the Temple of the Kyber on Jedha. His mantra "I am one with the Force the Force is with me" was instantly memorable. Usually said before he beat the crap out of everyone. He was also a total badass who, while didn't actually have any Force abilities or skills, believed in the Force and the Jedi way. Which meant Chirrut Imwe (played by Donnie Yen) was fearless in battle. And, while he may have been blind, he was not unable to take down groups of stormtroopers in Rogue One with his staff like it was nothing—although, his BFF Baze Malbus was always on hand with his blaster to help him out if need be. What it all adds up to is that, even though his part in the Rogue One Star Wars movie was great, if a Chirrut Imwe standalone film came out, plenty of Star Wars fans would be all over it in a second. 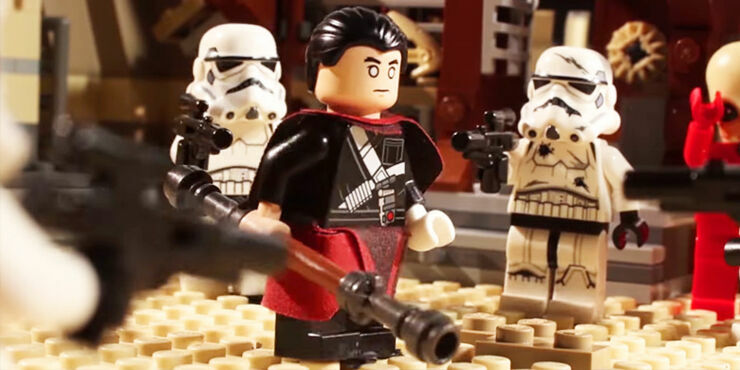 That's never going to happen though, but what we have got instead is a Chirrut Imwe Lego animation made by Kevin Ulrich. Called 'Chirrut Imwe Versus Everything' it shows the warrior taking down not just a bunch of stormtroopers with the utmost skill, but also taking down spaceships, an Imperial Walker, and then doing battle with none other than Darth Vader himself—along with the Death Star too. With nothing but a staff and his faith in the Force. We won't give away how it ends, but let's just say if they had included a Chirrut Imwe scene like this in the Rogue One movie, what was already a great movie could have been made even better (although it would have ended the film a lot sooner and made all the movies that followed unnecessary, but still). Plus, this time the warrior monk doesn't even need his buddy Baze Malbus to step in. That's how ridiculously good he is. 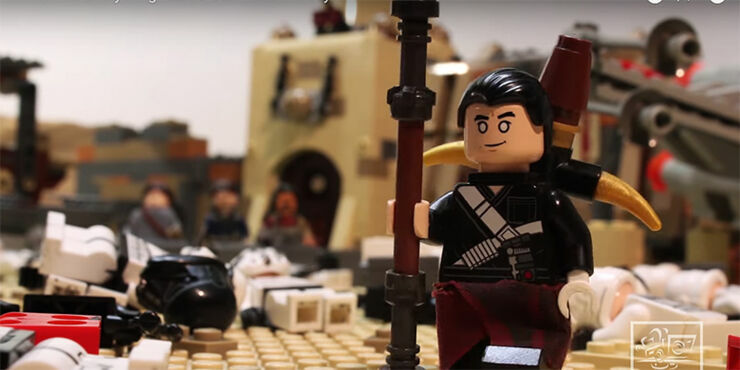 Repeat after me, "I am one with the Force the Force is with me, I am one with the Force the Force is with me, I am one with the Force the Force is with me, I am one with the Force the Force is...Chirrut Imwe." Check out more from stop motion animator Kevin Ulrich, at his YouTube channel Brotherhood Workshop here.